At the beginning of 2010 in Berlin, the Czentrifuga collective, supported by gallerist Stephan Krühl, successfully formed a European alliance of ten partner organisations from six EU Countries. This “Learning Partnership” was (and still is) sponsored by the European Unions' Grundtvig organisation. Just over one year, several hundred emails, cross border incursions and four major trans-European manifestations later , Grundtvig D.I.Y. finally presents itself to the worldwide web watchers in the shape of this blog. Our project focuses on art as a social transformer and a tool for sharing knowledge. 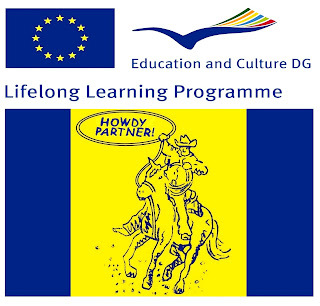 Its partners derive from a wide geographical base reaching across the EU from East to West; there are experienced partners and newcomers; partners from the worlds financial centre London to the picturesque small town Giżycko in Masuria; partners working at local and international levels; partners specializing in different art and social disciplines and partners of all ages. What unites us is our common conviction that art should make a social impact. We want to explore art as a learning experience, a tool and pathway for innovative interventions in social issues and social developments. Art is an efficient way for the articulation and representation of minority cultures and marginalized social groups aiming at enhancing the opportunities for participation and action. Art communication is understood as a means of bridging a gap – as mediation, not reduced to a restricted identity, but resulting from the combination of local, transnational, international and cultural aspects. Art crosses all boundaries both between the familiar and the unknown and between the established and the innovative. Our vision is to mobilise/activate local talent and interested members of the community of all ages to realize their potential. We want to provide the opportunity and framework for individuals to learn new skillsets and empower participants from disadvantaged backgrounds to set up their own self-sustaining networks of reciprocal teaching and learning, thus enabling people through creative means to communicate and share their interests and needs within the community and with decision makers on different levels. By sharing diverse experiences, working practises and social-cultural backgrounds this Learning partnership creates, through its wide variety, an opportunity to establish an effective intercultural blueprint for this vision. Looking back over the last year, it's clear that our initial vision was idealistic and our understanding of the complexity of an international partnership and how it subsequently evolves was somewhat naïve. It's the difference between disseminating an idea (and acting upon it) between 10 people in your local area or communicating within a network which spans three thousand miles, five languages and comprises more than a hundred core people. Now, after a collapsed attempt at creating a cohesive website, we hope to indicate how the partnership has developed over the last year via video clips, short texts and links. Here then is a sort of a scrap book archiving the essence of one year of learning by doing and skill sharing activities.